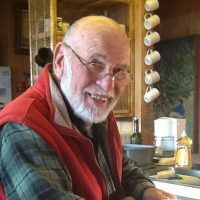 Crime Stoppers is offering a reward of up to $10,000 in the case of the violent murder of Oceano activist Larry Bross, 90, the San Luis Obispo County Sheriff’s Office announced Thursday. On Jan. 24, a neighbors found Bross’s body in the community activist’s home in the 1400 block of Strand Way. Bross had been stabbed and beaten. A week following the murder, the sheriff’s office announced detectives were trying to locate a man spotted with Bross on Jan. 22. Investigators described the man as white, in his 30s to 40s, approximately 6 feet 1 inch tall with a thin build and bushy dark brown hair. The man was thought to go by the name Jimmy. He was associated with an older four-door sedan that was dented and gray or dull silver in color. It is unclear whether detectives located the man or identified any other person of interest in the case. Now, Crime Stoppers is offering up to $10,000 for information leading to the arrest and conviction of the person responsible for the death of Bross. Anyone who has information about the crime is asked to contact the Sheriff’s Detective Division at (805) 781-4500 or anonymously call Crime Stoppers at (805) 549-STOP. Information can also be submitted to Crime Stoppers through the website slotips.org or by downloading the mobile app available at p3tips.com.